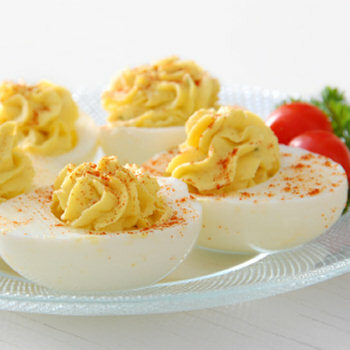 Cut eggs in half, lengthwise, and remove yolks. Mash yolks with all ingredients (except Pickled Garlic) until smooth. Mound or pipe fill in egg hollows and top each with about 1/2 teaspoon pickled garlic.